This is part 1 of the Kylie Jenner Trends Matter Collection Velvety Demi Mattes. 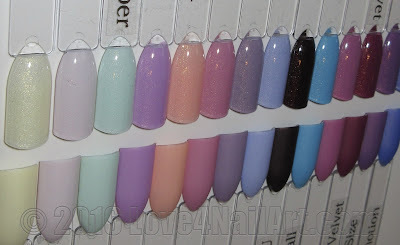 In this post I will review the first 5 lighter shades of the collection. SinfulColors website describes this color as "this pale pastel yellow is deliciously delicate". I would agree. This is the palest yellow that applies like cream. The first application is quite sheer/patchy but the shimmer is consistent throughout. The second coat makes this polish opaque, it is definitely needed and not optional. When this shimmer matte polish dries it appears matte with a frosty sheen with the tiniest flecks of gold shimmer. 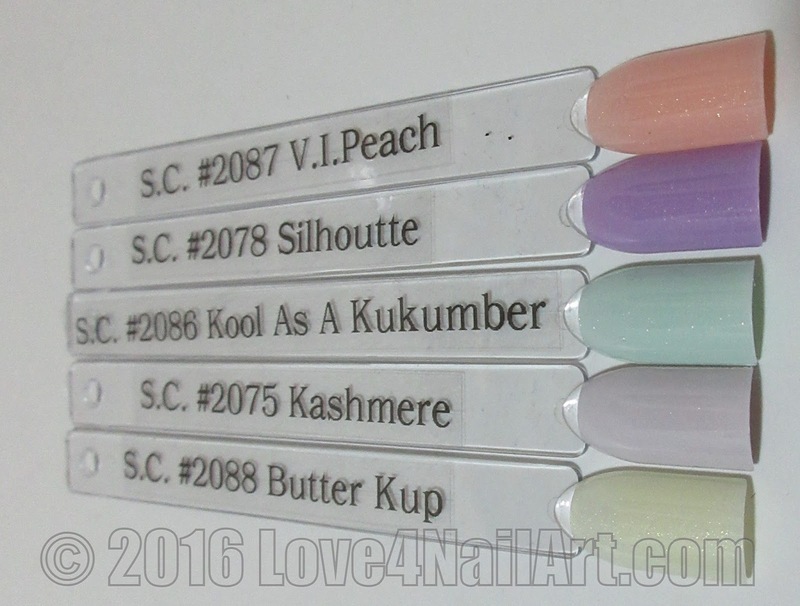 SinfulColors website describes this color as "A super soft off-white is an instant klassic". To me this is more of a pale grey than an off-white, but it's my personal opinion. This polish applies fully opaque with the 1st application, the second was not necessary but I did apply it just because. This polish has a white base with a hint of purplish grey, it applies smoothly and flawlessly. Dries to a shimmery pearl finish. SinfulColors website describe this color as "keep it kool with this pastel mint green shade". The 1st coat of the polish applied semi-sheer & I was worried about the color payoff of this particular shade. To my surprise, the 2nd coat made this polish appear smooth & opaque. 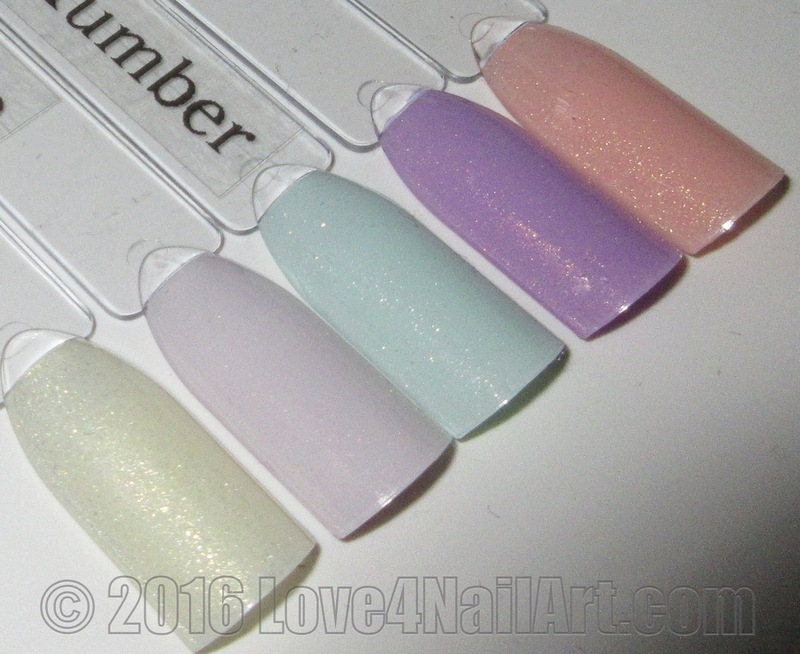 This is a cool toned pastel mint green shade with consistent shimmer throughout. However in this shimmer matter polish the shimmer is less impactful than with butter kup. SinfulColors website describes this color as "this lavender and gold shimmer looks good from all angles". 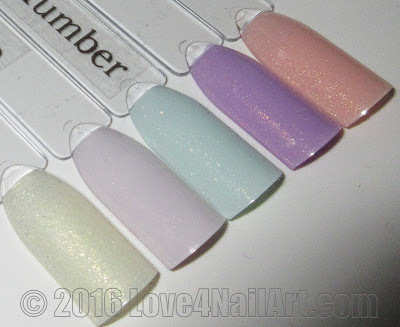 While I suppose this color can be lavender I described my first impressions of the polish as a pale muted lilac color with subtle almost nonexistent shimmer. The shimmer slightly gives this polish a sheen but you can not visible see it as well as some of the other colors in the collection. Nonetheless the color is very pretty and feminine. 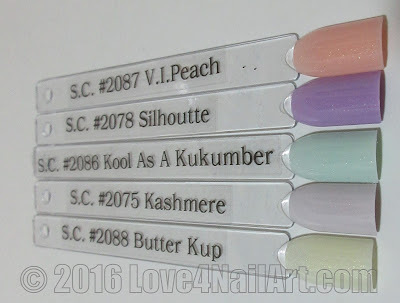 SinfulColors website describes this color as "you'll be peachy kween in this sweet shimmering pastel shade". This is a pretty pastel peach color with consistent golden shimmer throughout. Personally I like this color best with a shiny topcoat, matte is ok, but the topcoat just makes this color pop & sparkle. It is quite lovely.